Keeping your lawn and landscape properly watered is extremely important. A poor watering schedule or no watering schedule can lead to poor plant growth or dead and dying plant material. An automated irrigation system is an elegant solution to turf and landscape plant hydration issues. An irrigation system set to a timer can be a huge savings through the conservation of water as your plants, shrubbery, trees, and lawn can be timed to get the correct amount of water needed. Plus, an irrigation system/lawn sprinkler set to a timer can also be a valuable time saver in areas that have very specified watering restrictions. An irrigation system can be set to water your landscape in the overnight hours when more water will be absorbed by your landscape rather than just evaporated into the air. 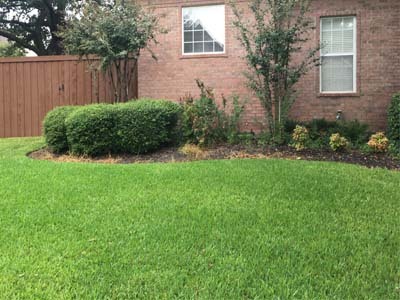 College Fund Landscaping can design and install a customized irrigation/lawn sprinkler system specifically tailored for your property and plant/turf needs. We can also help you to maintain, refurbish, or extend an existing irrigation system.